Here's an original set of return address labels for world travelers! 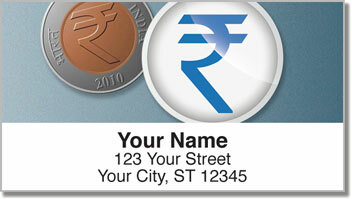 Each design features a different type currency. 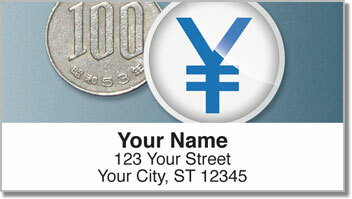 From the Euro to the Yen, these eye-catching coins will give your mail a look that is both multi-cultural and professional. But the best thing about this product is how it makes a world of difference when completing an everyday chore. 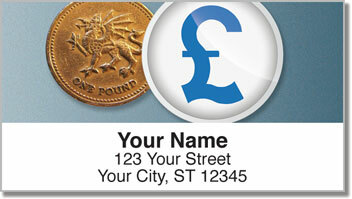 Instead of scribbling your return address on every envelope, just stick on these self-adhesive labels. 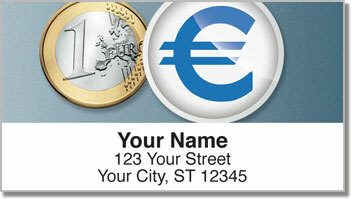 Order your very own International Currency Address Labels today. Get them with a set of matching personal checks.